Afshar has been with R+C for 29 years. During this time, he has been responsible for many of R+C's prime contract commissions, including international seismic assessment programs. Afshar leads teams for seismic evaluation and retrofit design assignments with the U.S. General Services Administration, the Judicial Council of California and the Republic of Turkey. 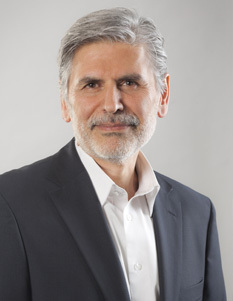 His most recent assignments include the Seismic Risk Rating System for GSA’s federally owned inventory, the Old Solano Historic Courthouse renovation and seismic upgrade, design of the award-winning UC Berkeley Units 1 and 2 Infill Housing and the UC Santa Cruz McHenry Library renovation and expansion. Afshar contributed to the improvement of concrete rehabilitation guidelines on the ACI 369 Committee. He was an early adopter of green design and is LEED accredited. He started using high-volume fly-ash concrete in his retrofit designs more than 13 years ago, beginning with the Wurster Hall seismic retrofit at UC Berkeley.